Matching up with the requirements of our clients, we are involved in offering Bimetallic Cable Connector. 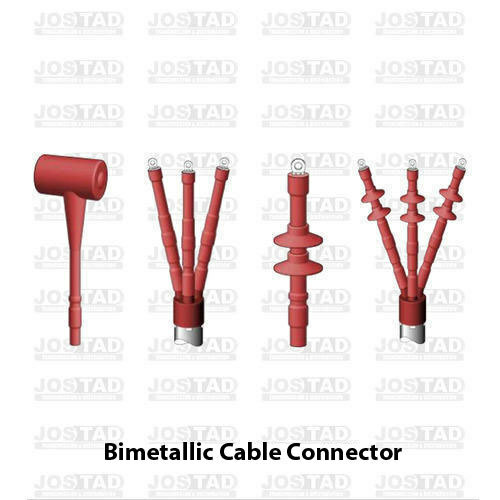 Incorporated in the year 2012 at Ernakulam, Kerala, we “JOS TAD” is a Sole Proprietorship (Individual) based firm, involved as the manufacturer and trader of Cable Connector, Cetpar Digital Multimeter, Suspension Clamp, Cable Junction Sleeve, Armour Rod, Electrical Switch, Lightning Arrester and many more. We are an authority oriented firm and our entire concentration is on satisfying customers with the quality definite, steady and unmatched solutions.